Make left on to Croton Falls Rd by small church - see large green sign that says Lake Mahopac with an arrow that points left. (Note: You will also see a sign that reads Rte 202 and a blue "H" sign). Make sharp left on to Croton Falls Rd. Go through light and continue on Croton Falls Rd. Do not turn on to Route 22 or Route 202. 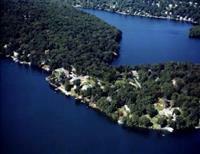 You will see another large green sign with an arrow that points you to Lake Mahopac - follow the arrow. (It will keep you on Croton Falls Rd.). At the end of the road there will be a traffic light and a fire station, this is Route 6. Make right on to Route 6. Travel one long block and we are on the left. There will be a large maroon sign with a number "10" on top and the words Exprop Real Estate. We are on the left-(see large maroon sign-Exprop Real Estate with a big number"10" on the sign.) At the intersection of McMahon Place & Route 6.